Yes, I think there is science in Equestria. Whereever there are ponies who want to find out how the world works, there will be scientists. And scientists do science. Twilight Sparkle is a scientifically inclined pony. I bet there are a lot of scientific books in her library/the castle's library. These books have to have been written by somepony. Thus, there are scientists and thus science. 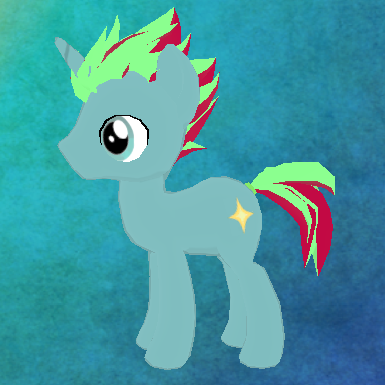 Astral Charm is a science pony. Thus, there is science. There are schools in Equestria. I bet they also have scientific subjects like biology, physics and, wait for it, math. I believe that the world being flat is the easiest explanation why Celestia can bring up the sun and is the only raiser of the sun (I have no evidence of this, but I don't think it has ever been said that there is another raiser of the sun). Also, the sun seems to revolve around the world where Equestria is. If there was a solar system, I couldn't imagine how Celestia would "raise" the sun. Concerning the age of Celestia and Luna, I'm not sure. They are either immortal, age very slowly or stopped aging at some point. In the very first episode, it said that Nightmare Moon (which is Luna) reappeared on the 1000th day of the Summer Sun Celebration. Assuming the the Summer Sun Celebration is an event that happens once a year, this would mean that Celestia and Luna are at least 1000 years old, probably older, since I doubt that Celestia has banned Nightmare Moon to the moon when they were born. And they still look younger than some other ponies who are probably not near 1000 years. However, the idea that Celestia and Luna have never aged doesn't seem to work, since Celestia told the Mane 6 that she was once a filly in the episode with the theatre play. One other thing that I have asked myself (and probably many others asked themselves) is how earth ponies and pegasi can hold things with their hooves or play instruments. I haven't heard a satisfactory answer to that question and it seems the most satisfactory answer so far is "don't worry about it too much". Then, there is the question if they will develop computers and smartphones in Equestria and, again, how they will be operated by earth ponies and pegasi. Typing might be realised with "hoof adapters", cone-shaped things that you can put on your hooves, so you won't press multiple keys while typing, or REALLY big keyboards, but that would be very impractical. There were times where I wonder what technological age Equestria might be in, but some argue that you shouldn't measure technological advance solely by comparing it to Western human culture. That would imply that all cultures discover technology in the same order. Civilizations living mostly in the air (like the Breezies) might be highly advanced without ever having developped the wheel, since wheels have no advantage when transporting goods through the air and are of no practical use in airborne transportation (i.e. vehicles) either. Sorry for not answering all your questions and for rambling.